Item # 313742 Stash Points: 1,395 (?) This is the number of points you get in The Zumiez Stash for purchasing this item. Stash points are redeemable for exclusive rewards only available to Zumiez Stash members. To redeem your points check out the rewards catalog on thestash.zumiez.com. Slow things down and enjoy your skate sessions with Mob Grip's Smell The Roses Big Print Grip Tape. This sheet of grip comes draped with an elegant red rose print pattern throughout; an eye-catching look that's sure to gather attention and help you get in the mood to cruise. 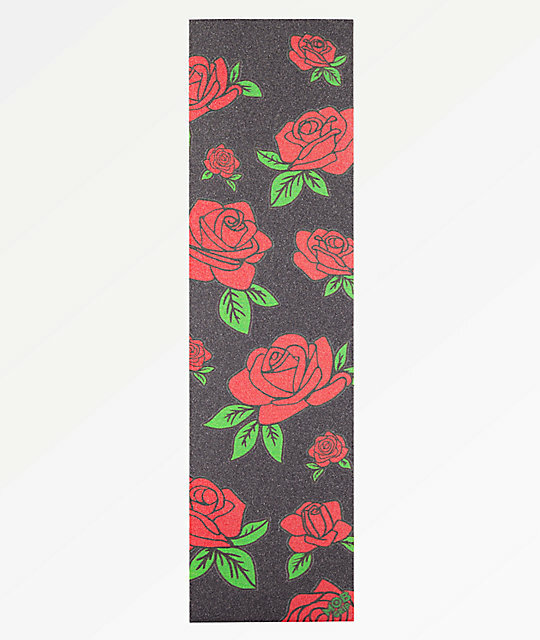 Smell The Roses Big Print Grip Tape from Mob Grip. Large rose print pattern throughout.